How do ideas come to you, and when do you know when you're really on to something? 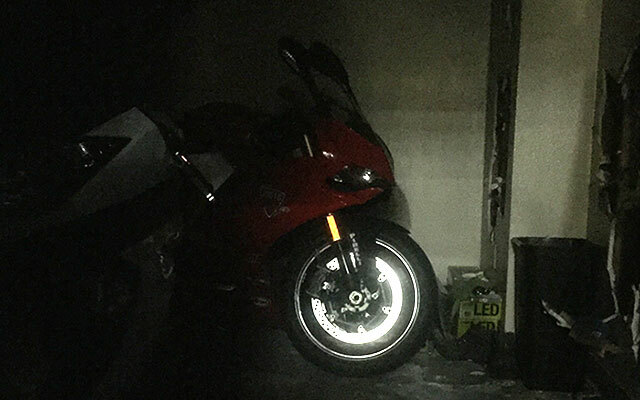 Late in the evening after a long day of cutting chips, honing edges and cooking steel, Duane was looking forward to gliding home on his beloved Ducati bike. Until something caught his eye that made for an even longer evening. Glistening in the reflection of his iPhone flash was the start of something great. Home, dinner, a good book - it's all going to have to wait. The forward brake disk from a motorcycle would make an incredible folding knife case. It's on! 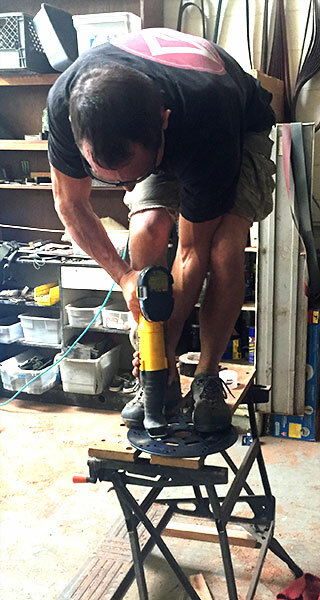 Obtaining worn motorcycle brake rotors was the first issue, mounting and machining was the next. But when excitement and ambition take over, Duane can make just about anything work. Now all we have to do is apply DCG blades and steel and the result is a badass carry knife. Don't worry, we will be sure to preserve the wear marks. 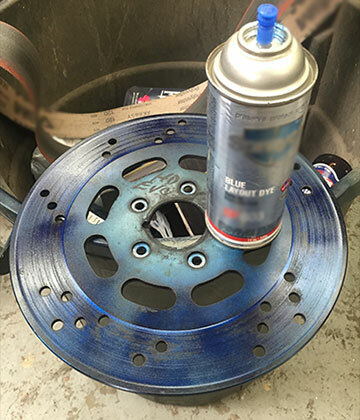 These brake rotors have lived a long useful life, and will now get a second chance. So what's your ride? We're working on Harleys, Ducatis and Indian bikes so far and that's only the beginning. 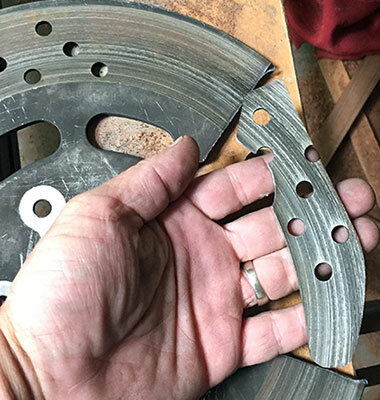 Duane is cutting wheel rotors from Ferarris like butter! And, believe me, they're coming together great! And the scales wear the brand colors of the vehicle brand with pride, or in the case of Ducati, the colors of the Italian flag. For more information on how to get yours, contact Duane using the form below. 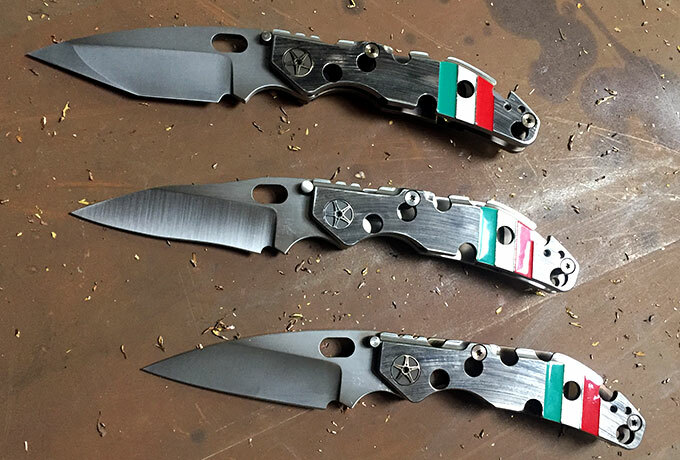 Don't forget to mention your ride and knife blade style. This is some of the most fun we've ever had producing folders and we're brimming with pride over how they're turning out. All of us here at Dwyer Custom hope your days are as awesome as ours!